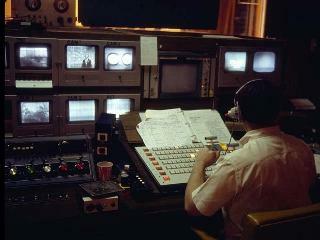 Engineers were encouraged to practice their editing skills on 2" machines and every station used to have a "party" or gag reel of bits and pieces that were NEVER shown on air. One of the most terrifying moments of my youth came one afternoon while working in Videotape. Remember that Bob Hower was Program Director and News anchor. A very powerful man. Whether deserved or not, Engineering Supv. 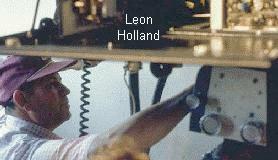 Leon Holland had us young guys convinced that Bob was a terror. It was in June, around the D-Day anniversary. 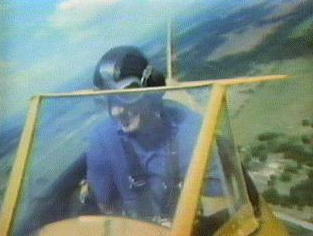 I had been saving pieces from the DEF (ABC daily electronic news feed) and got the idea to edit an exploding airplane onto a Bob Hower News 8 promo, in which Bob took some Cub Scouts for a plane ride in a yellow Stearman biplane. 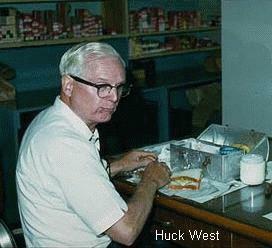 Senior Engineer Huck West puffed on his pipe, chuckled and puffed some more. His eyes were bright and his hair snow white. Huck got Leon and I believe fellow engineer Ed Morris to look on. Whoever the on air director was, saw what I was doing on the monitors in the control room and made a phone call downstairs. 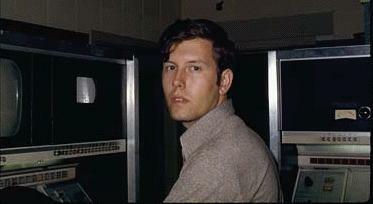 The next think I knew, Bob Hower and GM Tom Goodgame come around the end of the tape machines. Huck, Leon and Ed scattered!!! I can still see Ed choking back laughter as he ran for cover. I spun that 2 inch tape off the RCA TR 22 and slid it onto a spot reel slot, in that big wooden reel container which stood amid the machines. Tom and Bob were in their starched white shirts, $50 slacks and latest ties. Gold cuff links and probably Rolexes accentuated their perfectly in-place hair. Tom pulled on his cigar and said, "Let's see it.". See what, I replied. Bob joined in with, "I hear you have something we should see.". The projectionist sheepishly came around the corner holding the clip board which held the log. I figured I might as well fess up, so I pulled the tape out, set it up and played it. My heart was pounding and I was wondering how I would explain being fired to my parents. For icing on the cake, I had edited Bugs Bunny after the explosion saying "Eeeeh Next"! When the plane exploded, so did Tom and Bob. Fortunately, they did so in laughter and Tom placed his hand on my shoulder. "That's really good, R.L., just make sure it doesn't get on the air.". Bob and Tom left the room. The ones who ran for cover returned to the machine area. Huck smiled, chuckled and quipped, "You're lucky, real lucky.". I still have a VHS copy of the spot. My memory is suspect, so I can't say I remember R.L. Bullock's gag reel story; but, I can say for sure, I was not wearing a Rolex!! I was wearing two hats at that time, Program Director and Anchor, but there was never a Rolex. That I'd remember! 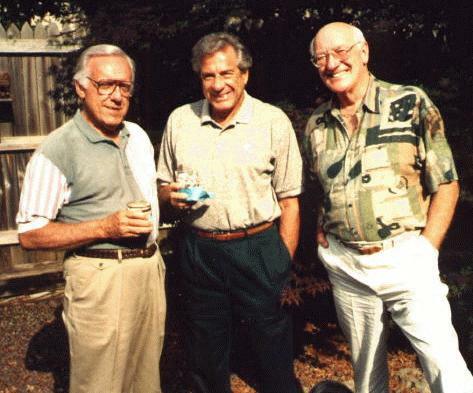 Lee Woodward, Bob Hower and Bob Mills (photo courtesy of Lee).